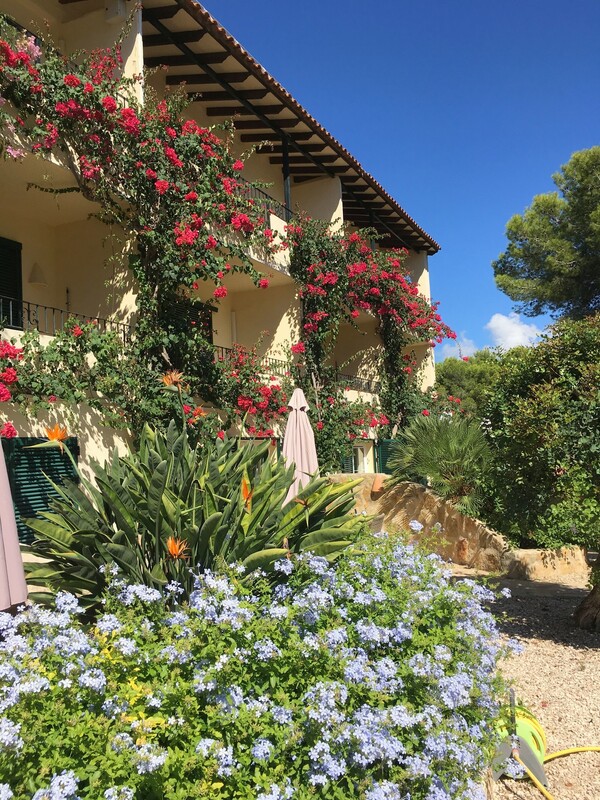 CASA PAULINE is located almost exactly between Valencia and Alicante, on the Costa Blanca, just outside the centre of the luxury resort of MORAIRA, where no high-rise can be found and where the beautiful beaches are invitingly close. Not to mention the numerous bars and restaurants where you can enjoy tapas with your drink on a terrace in the sun. CASA PAULINE is a typical finca and is attractively furnished as an apartment complex. The colourful subtropical garden is a serene beautiful place where people can relax on a lounger, play outdoor chess on the giant garden chess set, and marvel at the cacti, fragrant lavender and other Mediterranean trees and plants. CASA PAULINE has eleven apartments and at 50 meters a terraced beach house. Each with an open kitchen and a private bathroom with walk-in shower and toilet. Furthermore, each apartment has a spacious terrace or a balcony with sea view and with a view of the fairy-tale garden.